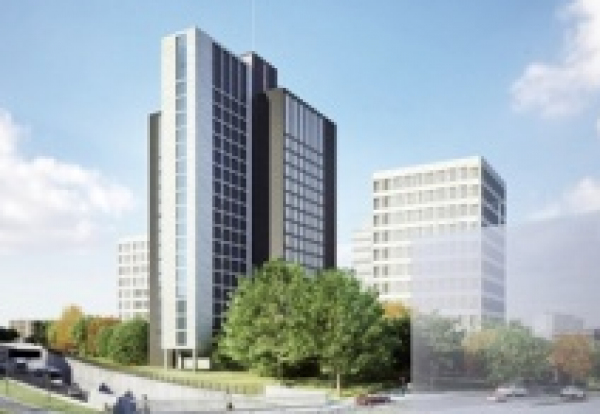 Developer Downing has been granted planning permission for a 21-storey student tower block paving the way for the second phase of its £40m Central Village scheme in Leeds. Downing’s own construction arm, George Downing Construction will build the next phase of the Central Village scheme, designed by architects John McAslan + Partners. The £25m tower will house 400 rooms and sit alongside the 577-bed first phase of Central Village, which is due to complete in September. Paul Houghton, development director at Downing, said: “We’re committed to delivering the highest-standard student accommodation, offering the best housing at affordable pricing, and our plans for Phase 2 of the scheme deliver exactly that. “We’ve been active in Leeds for a number of years and we know that there is a robust student market here that demands quality, city centre accommodation.